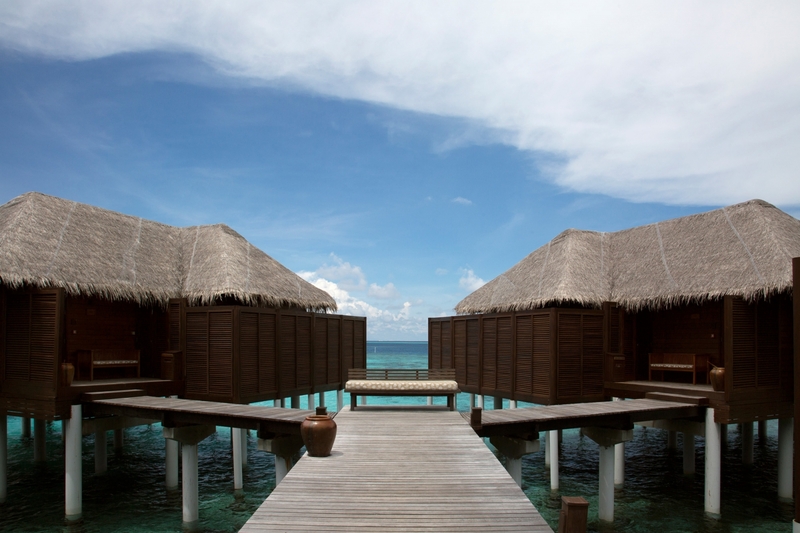 The soothing sounds of the Maldives lagoon, as it gently caresses your Escape Water Villa, will be the soundtrack to your resort holiday. 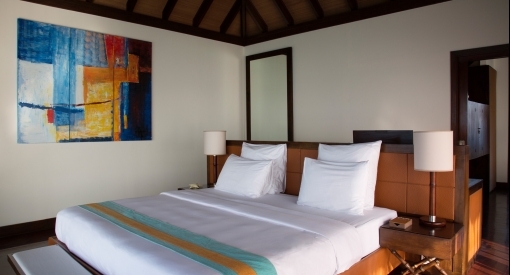 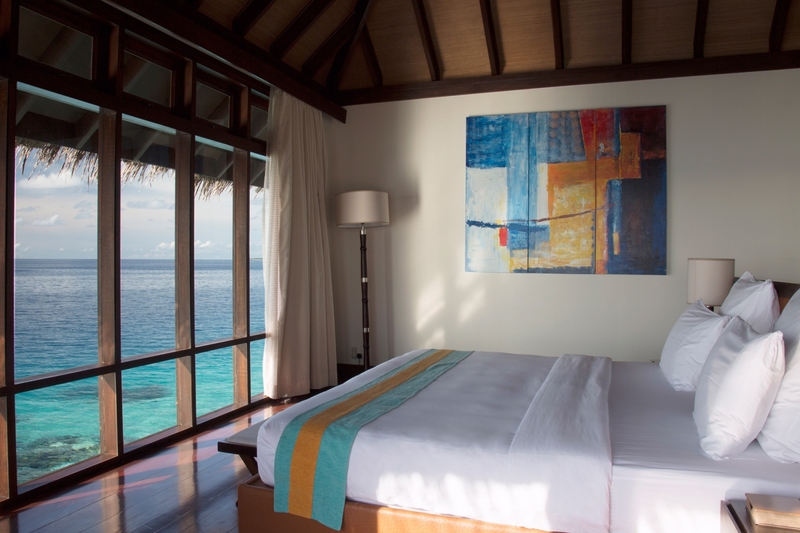 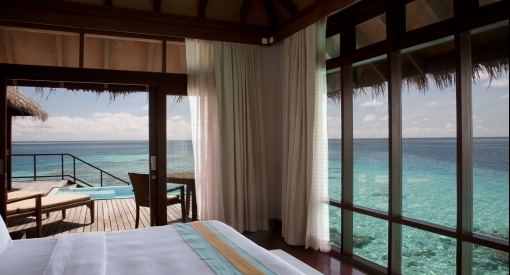 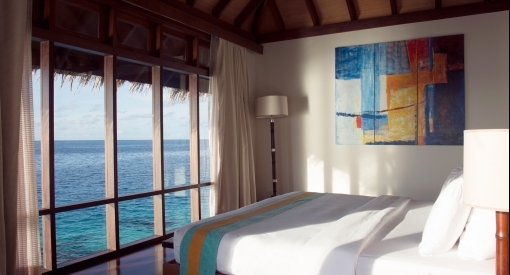 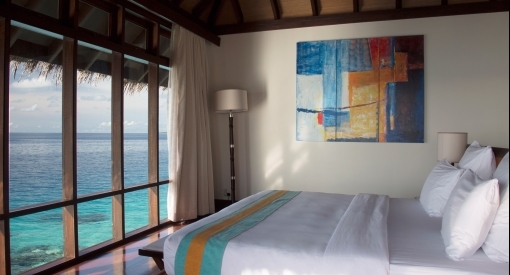 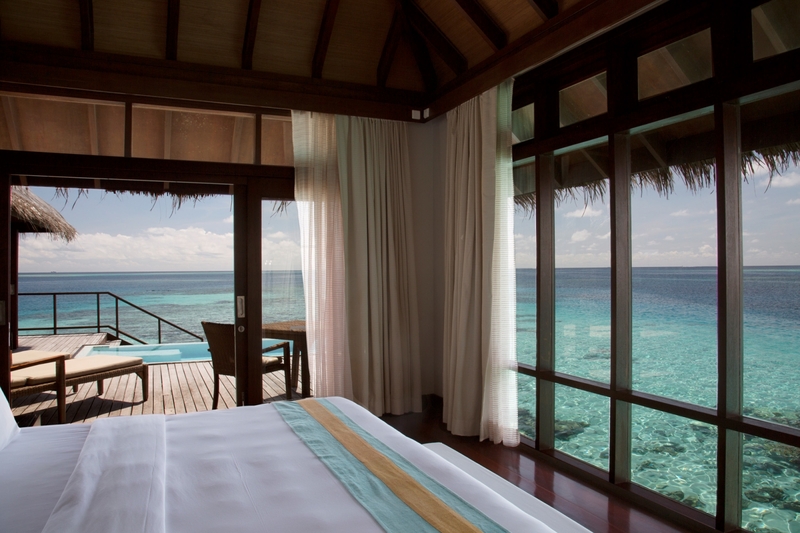 From the gorgeous comfort of your king size bed, lose yourself in the uninterrupted vista across the sparkling azure lagoon. 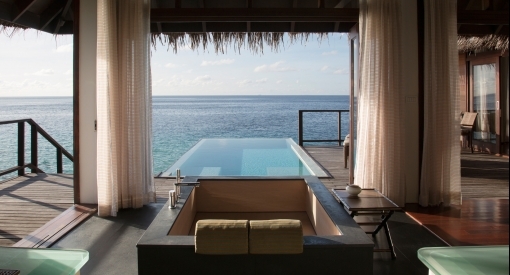 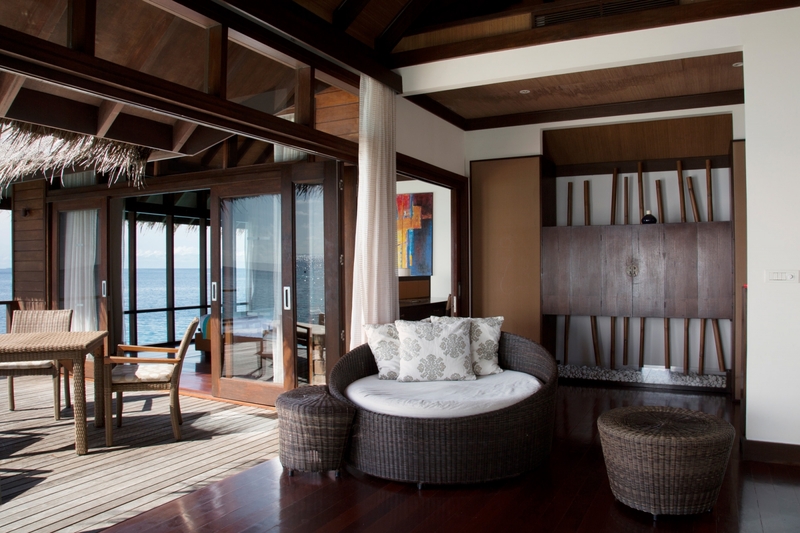 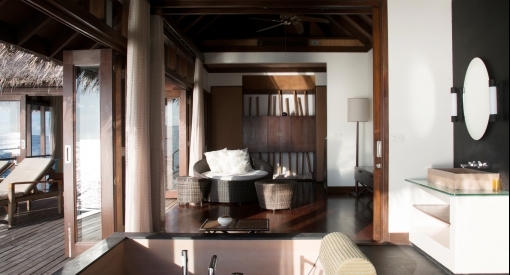 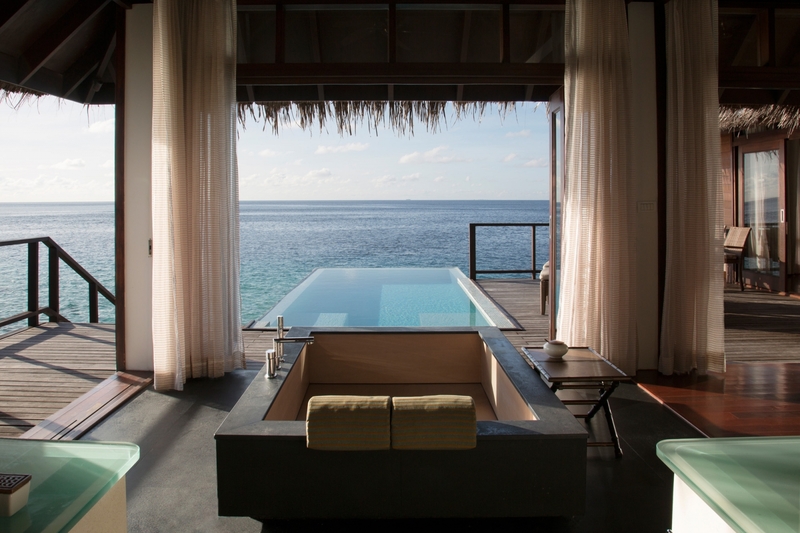 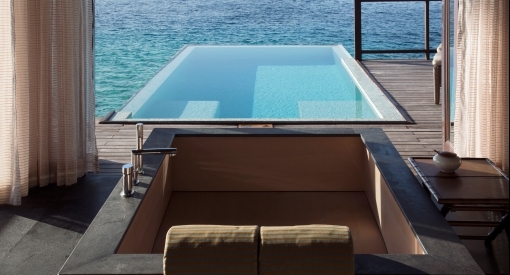 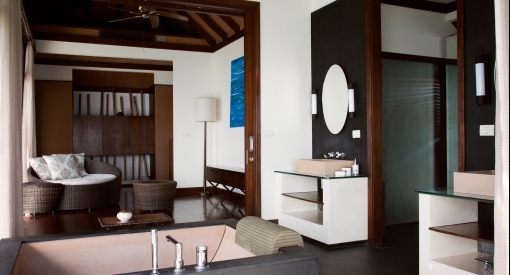 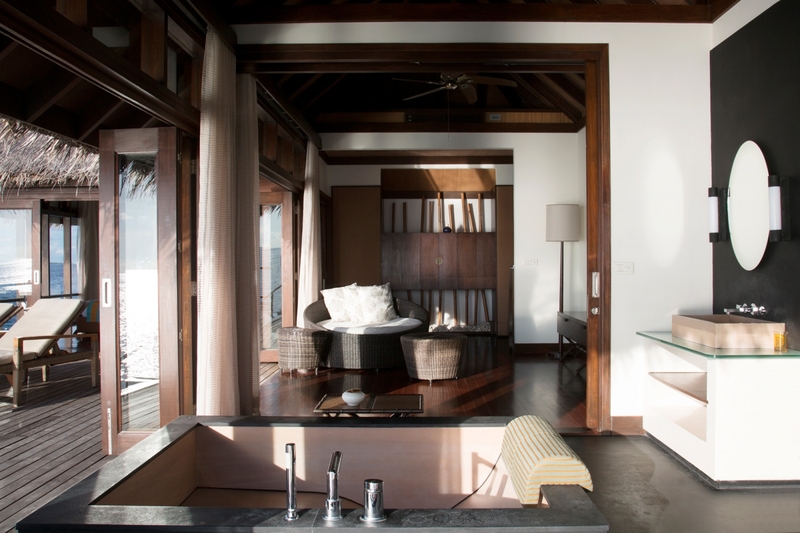 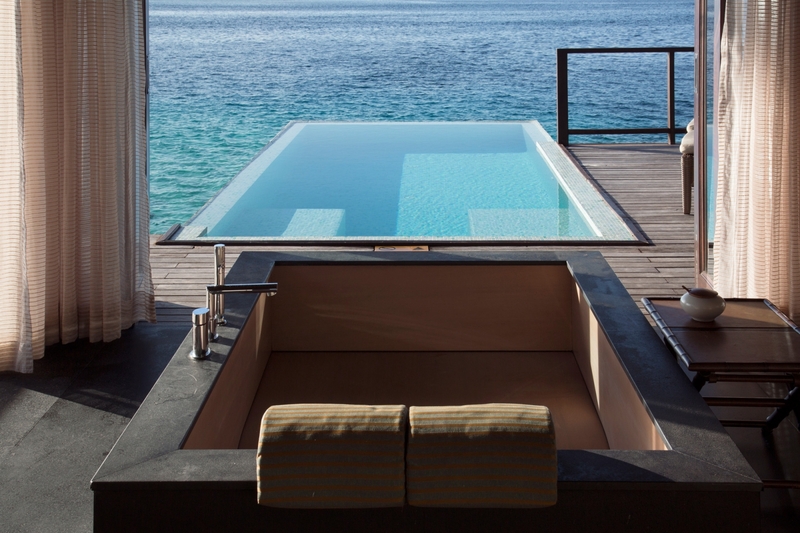 As you relax in your enticing bathtub for two, your view is your personal infinity pool and the Indian Ocean beyond. 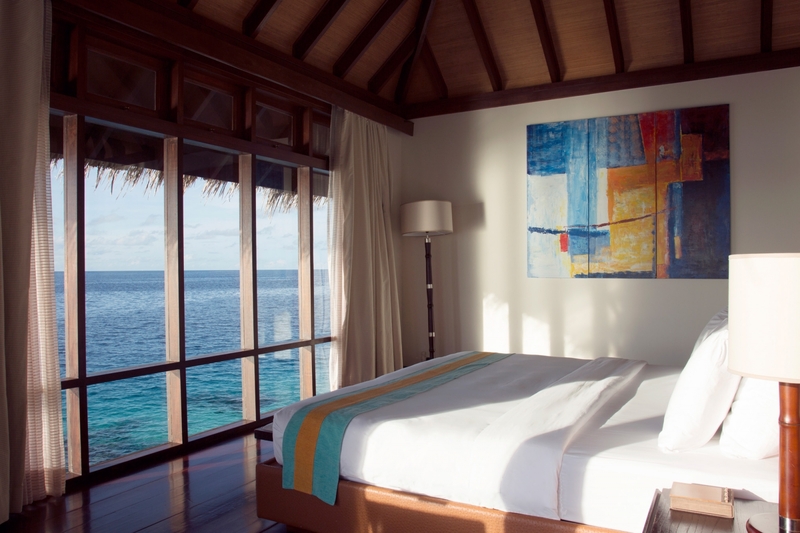 Maximising light and vision, the floor-to-ceiling glass panel windows that encase our 16 Escape Water Villas are their defining architectural feature. 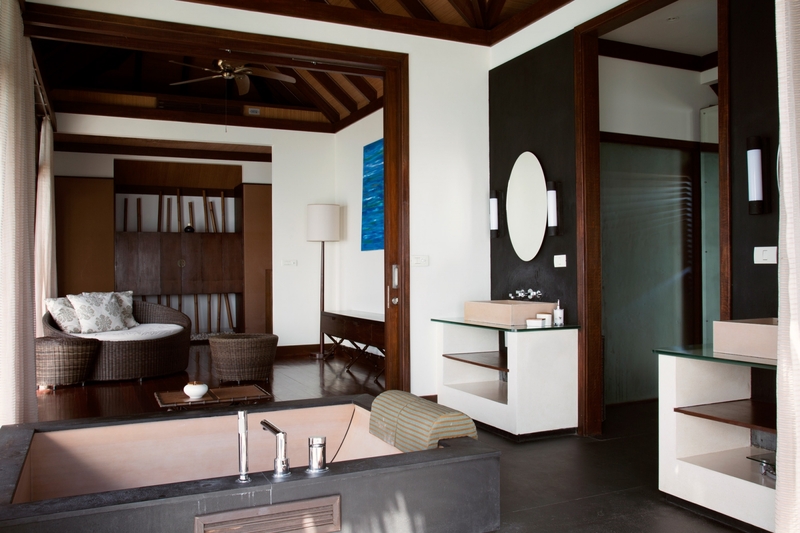 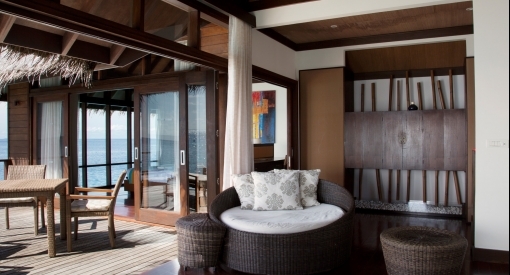 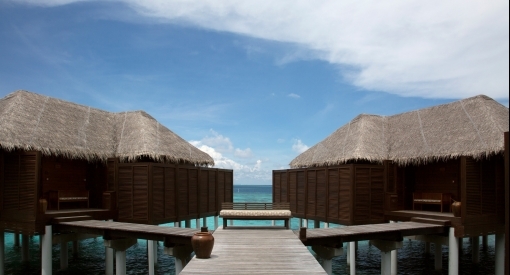 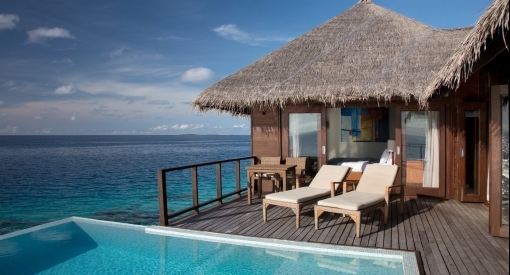 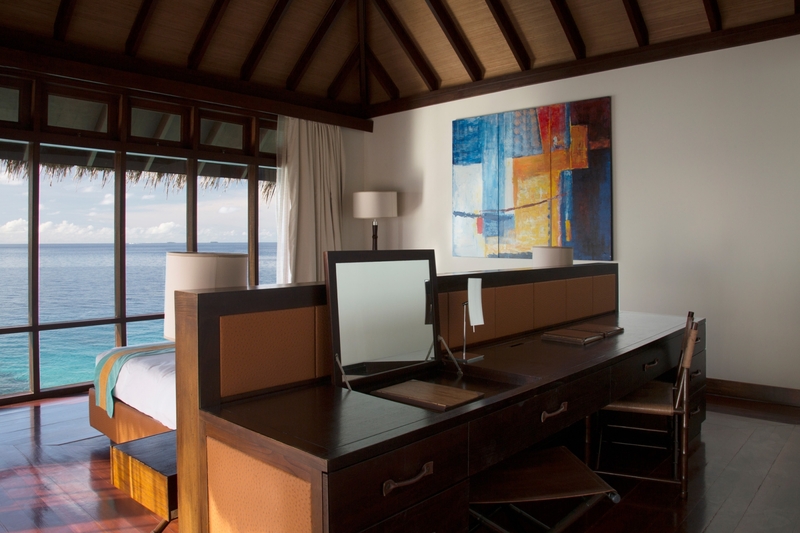 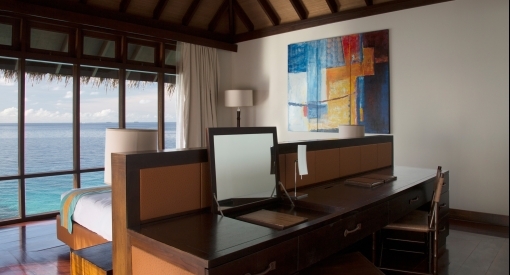 These 144 square metre Maldives water villas have been designed to enable flexibility; open the whole space up or partition bedrooms, bathroom and shower room off, using sliding doors. 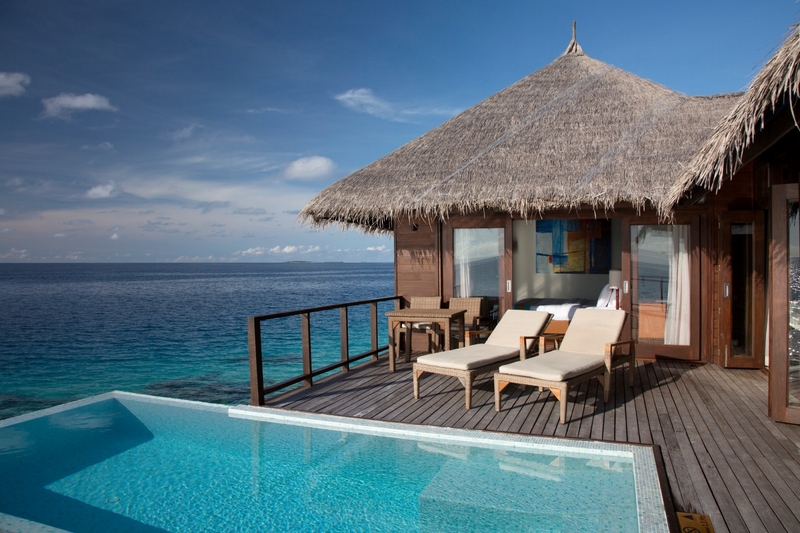 Outside, the House Reef and its fascinating inhabitants go about their business in the lagoon, while your infinity plunge pool and private deck offers the ultimate chance to refresh under the rays of the golden sun. 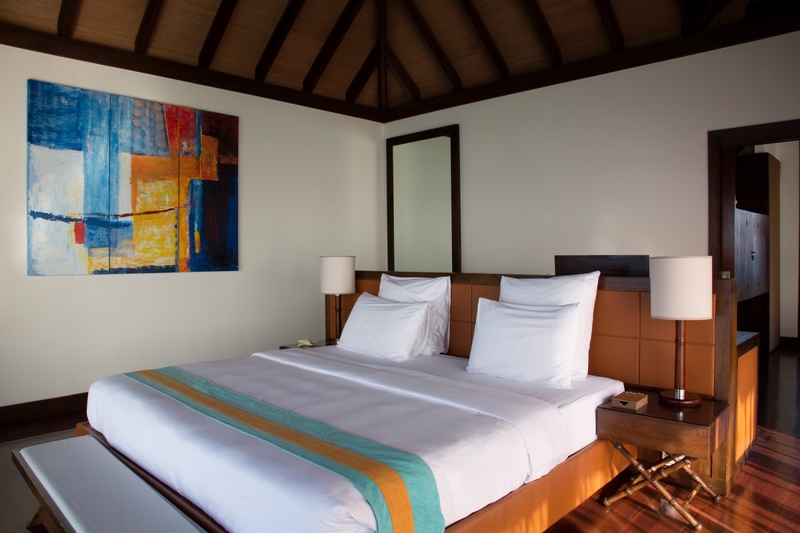 Why not upgrade to Coco Residence?